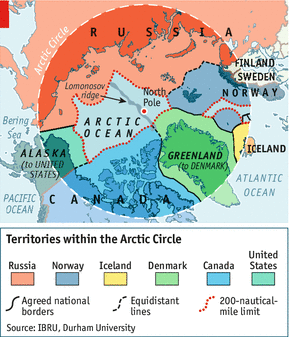 On April 24, 2015 the United States assumed the rotating two-year role as chairman of the Arctic Council. 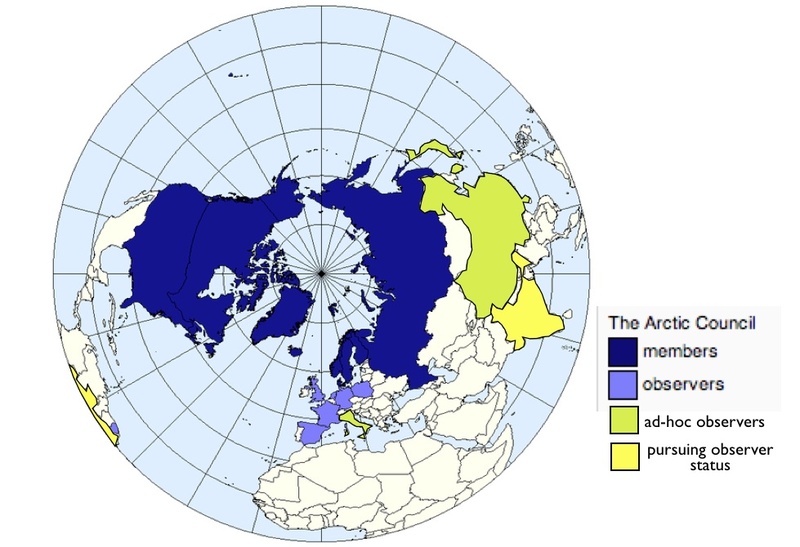 The Arctic Council is an intergovernmental forum between the eight nation states with territory in the arctic region: Canada, Denmark (representing the dependencies of Greenland and the Faroe Islands), Finland, Iceland, Norway, Russia, Sweden, and the United States. We are currently at a particularly crucial point with regards to Arctic governance, as climate change and the reduction of sea ice within the Arctic Circle have led to the formation of a “new ocean” where the water was once permanently frozen. These new stretches of open water provide opportunities for shipping, fishing, and fossil fuel extraction, but the sustainable management of these resources will be crucial in order to prevent uncontrolled environmental damage and exploitation. The United States, as chairman of the Arctic Council, will need to provide active and assertive leadership through these dynamic changes to foster cooperation and agreement between the Arctic nations. Capitol Hill Ocean Week, a yearly conference on marine policy held in Washington D.C., featured lively discussion of the Arctic Ocean and the United States’ role as chairman of the Arctic Council. American Geographical Society Councilor and signatory of the AGS Fliers and Explorers Globe, Dr. Lawson Brigham, spoke on a panel titled “Taking the Helm: Chairing the Arctic Council” alongside Admiral Robert Papp of the U.S. Coast Guard and Lisa Speer, the Director of International Oceans at the Natural Resources Defense Council, on June 9th. Lisa Murkowski, U.S. Senator from Alaska, also came to offer her remarks on the governance of the Arctic Ocean in a short speech. A video of the discussion can be found here. Dr. Brigham discussed the importance of the Arctic in maritime shipping, and his work on the Marine Shipping Assessment in 2009 to determine where ships can safely pass without damaging the natural and living environment. The eight Arctic states have successfully pushed the International Maritime Organization, a United Nations agency, to implement a mandatory polar code of conduct regarding materials and operational techniques, which will come into fruition on January 1, 2017. This is one step towards ensuring protection of the Arctic shipping and the environment and U.S. leadership in the Arctic Council will be crucial in ensuring adherence to this polar code. 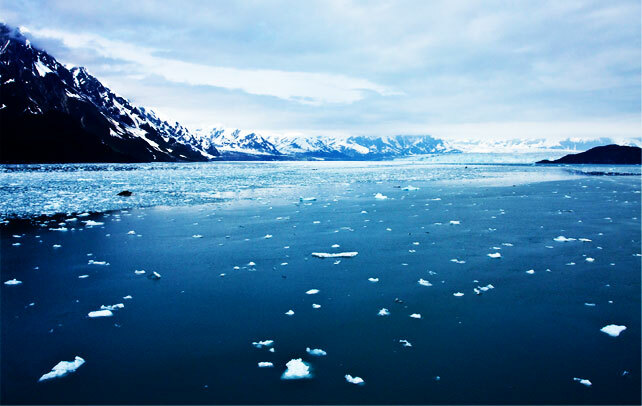 Shipping through the Arctic Ocean is very appealing to several shipping organizations due to the great opportunity to increase travel efficiency through the creation of quicker routes across the pole. Admiral Papp highlighted that “countries have been looking for more economical sea routes for many years,” and that while the Arctic Council previously focused largely on environmental concerns, the melting of sea ice is going to drastically change maritime dynamics in the region. The Bering Strait, in between Russia and the United States would be a primary point of passage for these ships, as the only passage between the Arctic and Pacific Ocean. Senator Murkowski highlighted the importance of Alaska in this discussion, which would bare the brunt of a domestic or foreign oil spill, as well as the ocean acidification, invasive species, and climate change impacts that travel into the Arctic alongside increased shipping and commercial activity. The Alaskan people, particularly indigenous communities, and their wellbeing and economic viability need to be an active part of any U.S. decision regarding the Arctic environment as well. Brigham discussed, however, how bringing fishing vessels under the IMO polar code will be more difficult, and ensuring sustainable fishing in the high seas regions of the Arctic will require not only an agreement between the eight Arctic states, but all large-scale fishing nations. While the eight Arctic nations have determined that scientific study should be conducted before commercial fishing should be expanded into their Exclusive Economic Zones (EEZs – 200 nautical miles off a country’s coast), these regulations do not apply in the high seas. At this moment, any country can technically enter the high seas of the Arctic to fish, as no international agreement exists to regulate these waters. Lisa Speer also explained that the U.S. is trying to build a network of marine protected areas, although international involvement is necessary as animals travel across international boundaries at different stages of their life. 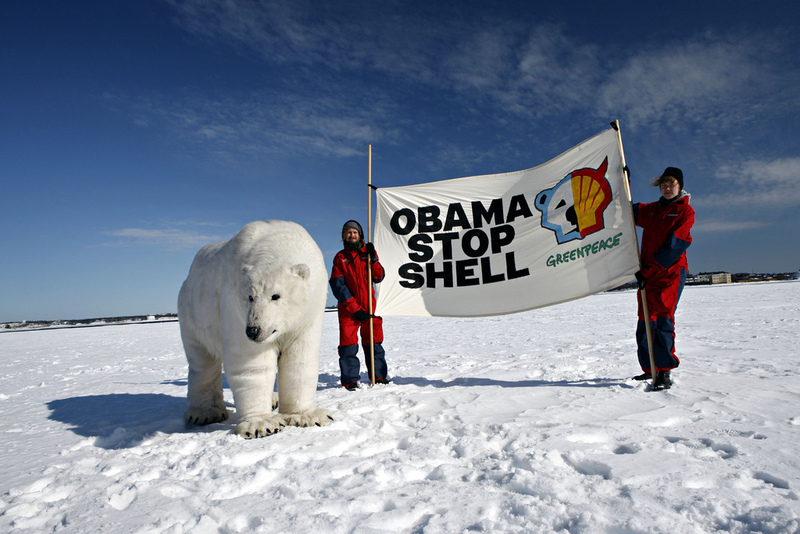 Offshore oil drilling in the Arctic is a contentious issue, and the Obama administration recently gave Shell approval for exploratory drilling in certain areas of the American Arctic. In the U.S. 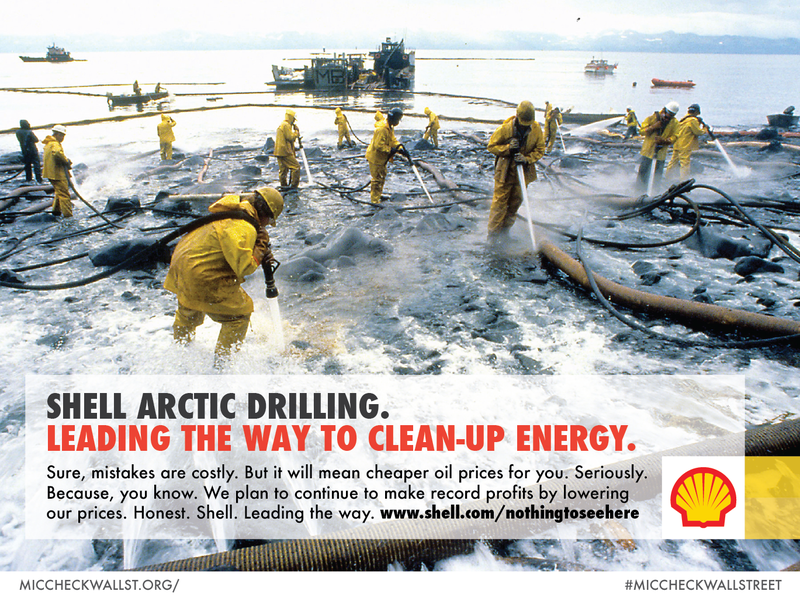 Ocean Policy Address John Holdren, the Assistant to the President for Science and Technology, affirmed that Shell’s drilling will be conducted under exceptionally stringent environmental regulations, with 24/7 monitoring from government officials. Nonetheless, there was significant protest from environmental groups. The Obama administration has also set aside numerous areas in the Arctic region that are permanently protected from drilling and development. Some local Alaskan communities protested these protections as too extensive, as they thought this would cut into the potential for economic and job growth brought about by expansions in industry. Brigham underscored the issue of a lack of American infrastructure in the Arctic region, also brought up by Senator Murkowski in her speech, which would be required to respond to oil spills if extensive drilling takes place, and search and rescue missions. Norway and Russia already have quite extensive infrastructure built up, as their interests in the Arctic are much larger than the U.S. or Canada’s, with a larger portion of their economies depending on the Arctic region. Admiral Papp explained how international cooperation between nations could allow for greater efficiency in constructing Arctic infrastructure that could be used by numerous nations rather than only by individual states. The Arctic is perhaps the most pressing new issue of international geography, as a “new ocean” means that new borders and agreements need to be constructed in order to deal with this new space on our planet. U.S. leadership will be decisive in ensuring that economic, environmental, and social aspects of governance decisions will all be taken into account in crafting substantive policy over the next two years.